Cycling, Look Mum No Hands! ;Here’s my rider biography from the Look Mum team blog. 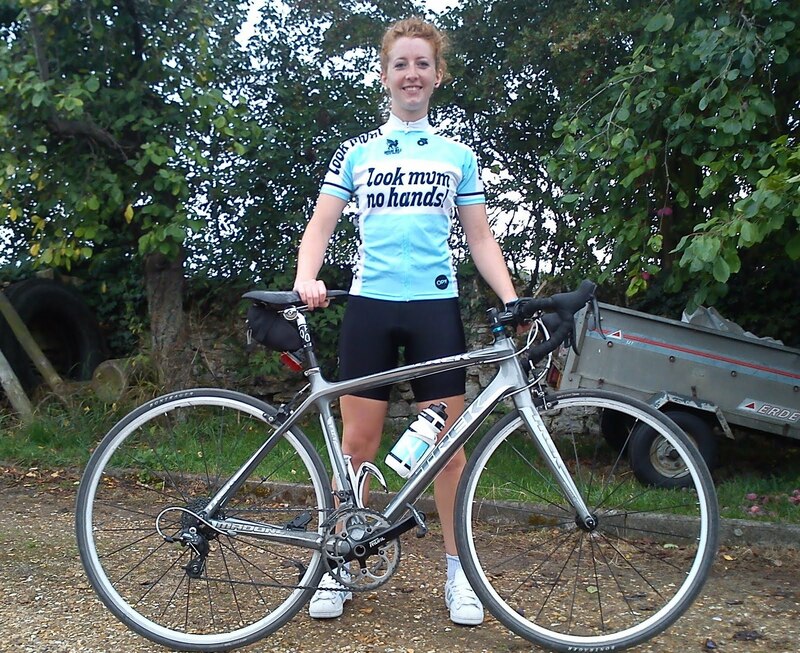 The newest rider to join Team Mum is Alice Miller. Alice came to stay with Charlotte and Sam this summer and was persuaded to do her first ever race. We loaned her a LMNH jersey and didn’t want to take it back. Alice has now started time trialling at university in Sheffield, where she is reading East Asian studies. She has already taken 2 minutes off her pb! You can read Alice’s blog ;here. ; We are really excited to have her on the team. How did you come to ride bikes? Three summers ago I decided I wanted to cycle to Italy so I got myself a bike for £70 off Ebay and set about seeing what cycling was like. After a summer of bumbling about at home I got a proper bike and joined the university bike club and started to get ‘serious’. Riding in the Peaks with a load of boys is a sure fire way to get strong (especially if, like me, you refuse to be last to the top). A few unfortunate ;occurrences ;have slowed me down, but here I am, still riding and very excited for the future. What is your happiest moments on two wheels? Early morning rides are a special treat, with mist and random sheep in the road, coming home in time for the start of work and knowing the rest of the day can be for lazing. Worst moments on two wheels? I don’t think you can have a worst moment on the bike. The worst moments are when you’re not on two wheels, and stuck off them for ages because of an injury. Who, or what is your inspiration? Anyone who is having fun doing what they do. Whether that’s in a sport or just life generally, life should be fun. If you want actual names; Jens Voigt (because I find him funny), Shakira (I want her hair, plus she’s super fit and flexible), and all gymnasts. I want to do lots of racing! Short term, I’m aiming towards the BUCS Hill Climb at the end of October and I’ve just noticed the HC national champs are the day after so I might do that too. Longer term I want to just keep on having fun riding and racing and meeting new people. Can’t live without bit of kit? 2. My ;Gymboss. It’s the best way to keep track of intervals and leaves me free to focus on my riding instead of watching a clock all the time as it beeps at me every time I need to do something different. What was the last ride you did? An interval session. No pain, no gain.